The continent of Africa has produced some fine footballers down the years, some of whom have gone on to become real world stars. That trend looks set to continue in the modern era too; just take a quick glance across the pond to Europe's biggest leagues and you will find the likes of Sadio Mane, Mohamed Salah and Pierre Emerick Aubameyang firing in the goals for Liverpool and Arsenal respectively in England. Over in Holland you will also find the likes of Hakim Ziyech; the Moroccan international has had a superb season for the Dutch club, leading his side to a quarter final place in the Champions League where they can be backed at 11/4 to see off the threat of Juventus in the next round with 888sport Canada. Turning our attentions back to England, such has been the good form of Mane and Salah that Liverpool currently lead the Premier League table with just weeks of the season remaining. The creativity, skill and ingenuity of these two African superstars has propelled Liverpool to within a whisper of claiming their first league title since 1990. Week in, week out, the performance of those two African forwards is lauded by pundits the world over and if you regularly follow soccer betting tips you can see how Liverpool's odds to win the league have shortened to just 7/4 with Bet365 over the last few weeks. Although soccer fans have grown accustomed to seeing a plethora of African stars strut their stuff on the big stage it hasn't always been this way. In fact, many leading African players have openly credited former African pros for inspiring them to reach greater heights. In this piece we take a look back at some of the players formerly crowned ‘African Player of the year' as we uncover what they're up to today. 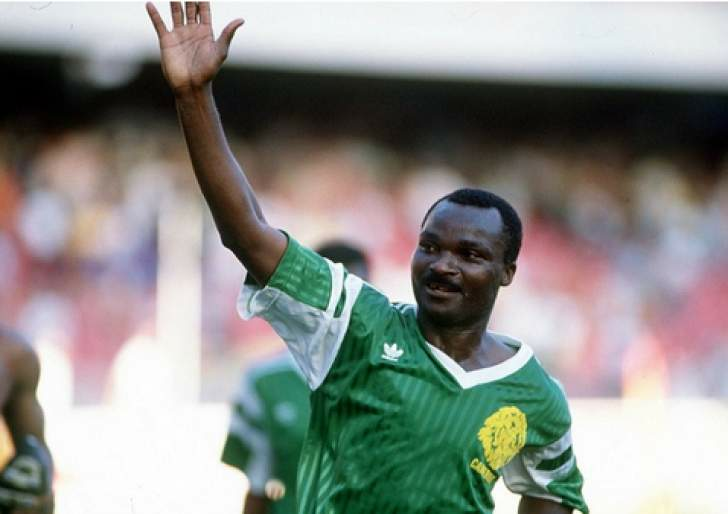 Roger Milla had a long and illustrious career that really put African football on the map thanks to his performances at the FIFA World Cup. He became the oldest goalscorer at a World Cup back in 1994 and his dancing celebration captured the imagination of the world. His club career led him to the likes of Bastia, Saint Etienne, Montpellier and Monaco, eventually retiring in 1996 after a 26-year playing career. Pele even named him as one of the 100 top living footballers of all-time. Today he leads the charge as an ambassador for African causes and is one of the most recognisable African footballers on the planet. Samuel Eto'o was one of the most lethal strikers on the planet for over a decade and incredibly, despite beginning his career in 1997, is still playing today. He won African Player of the Year four times and lifted the Cup of Nations twice, as well as picking up 118 caps for his country and securing himself as the country's top scorer. His club career included stops at Barcelona, where he won the Champions League twice, Inter Milan where he lifted the trophy again, and Chelsea, Everton and Mallorca among others. Today he plays for Qatar SC, where he has scored 5 goals in 15 appearances so far this season and he recently announced his intentions to carry on at the club for another year. His former clubs Chelsea and Barcelona could certainly use his goalscoring prowess as we move towards the business end of the season. The blues are 15/8 with Betway to finish the season in the top 4 and qualify for the Champions League next term whereas Barcelona are priced at 10/3 to claim European football's biggest prize before their Quarter Final showdown with Manchester United. If you take an interest in world politics you'll know full well George Weah is the current president of Liberia having turned to the profession following a glittering football career. He won African Footballer of the Year three times and is the only ever African to pick up the FIFA Ballon d'Or. His career led him to a number of huge clubs including Monaco, AC Milan, PSG and even joined Manchester City in rather controversial circumstances. He actually thought he was going to play for United. Frédéric Kanouté is perhaps Mali's greatest ever export and had a career which flourished in the Premier League. He won African Player of the Year in 2007 while playing for Sevilla, where he scored 136 goals in 289 games. He had spells at Tottenham, West Ham and Lyon before ending his career playing for Beijing Guoan in China back in 2013. He set up the Kanouté Foundation back during his career and continues to work hard on that, supplying much needed aid to some of the poorest Malian villages. His development work is now the most important part of his life and he continues to make his mark on people, even when he's not scoring goals. Another Cameroon representative is Patrick Mboma who picked up the award in 2000 and helped his nation to two Cup of Nations and an Olympic Gold medal. His career led him to teams all around the world, including PSG, Parma and Cagliari, where he banged in the goals for fun. His career spanned over 20 years and to this day he's still thought of as one of the best players the continent ever produced. He's still associated with soccer today having even recently been a guest to draw the Interclub Quarter Final Draw.